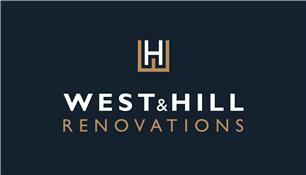 West & Hill Ltd - Builder, Carpenter, Carpets/Flooring based in Pudsey, West Yorkshire. Please call us during office hours of 9:30am - 2:30pm. Outside of these house please email us at - [email protected] . West & Hill Renovations are building contractors based in Leeds undertaking new builds, home extensions, conversions and renovations. Specialists in timber framing and sustainable building as well as main stream construction. West & Hill formed in 2014 by Rick Hill and Will West, two friends who have worked together over a number of years in the construction industry. Our team includes bricklayers, carpenters, electricians, plasterers as well as other trade streams. We provide a start to finish solution for new builds, extensions, conversions or renovation projects. Whether you’re looking for a new build, structural alteration or home extension, West & Hill’s fully certified team would be happy to advise you on your project and offer you a no obligation quote for the work.